The security of the lock up and the detente of your knife are among the key factors in the strength of knife. 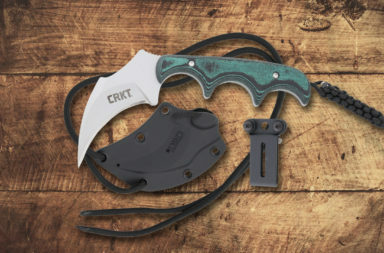 With the new Deadbolt lock, the CRKT Seismic just might win the “secure lock up” game for 2019. 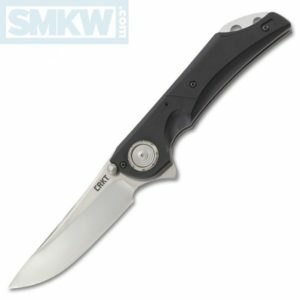 Combine this with the fact that designer Flavio Ikoma added a discrete torx screw to the handle which allows for easy adjustment of the flipper action to your own personal preference, and the CRKT Seismic just might be one of the best knives all around knives of the year. What’s so awesome about the Deadbolt Lock? 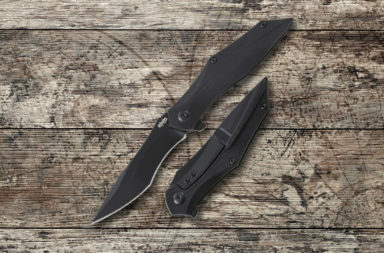 When the knife is open, two bolts run through the tang of the knife making it almost impossible to close without breaking your knife. Next to the pivot is an easily accessed button that unlocks it. 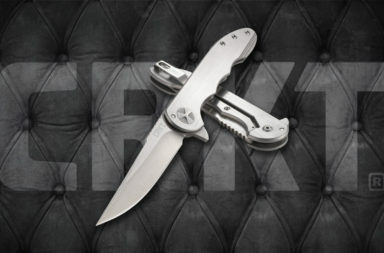 Seriously – watch the video above and it will all make perfect sense (Thanks CRKT). The 4” 1.4116 drop point has either a satin finished plain edge or a black PVD coated Veff partially serrated edge blade. 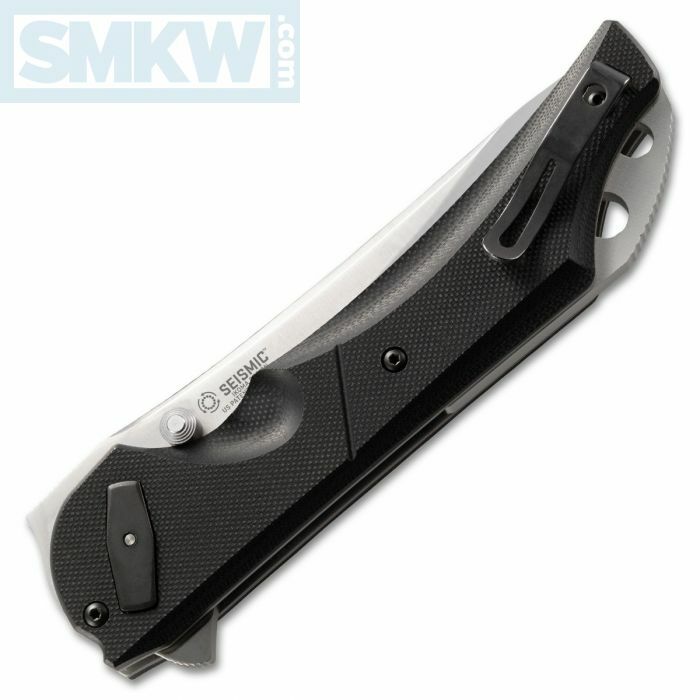 It swiftly opens with either a flipper or thumb studs. One of the amazing things incorporated in the G-10 handle of the Seismic is an adjustable torx screw that lets you easily adjust the IKBS pivot system to your own personal preference. 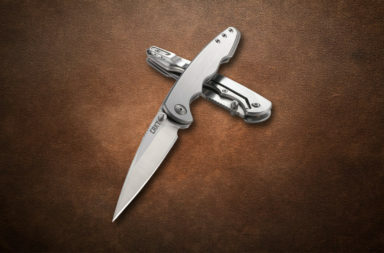 There’s an ambidextrous tip-up pocket clip and two lanyard holes. 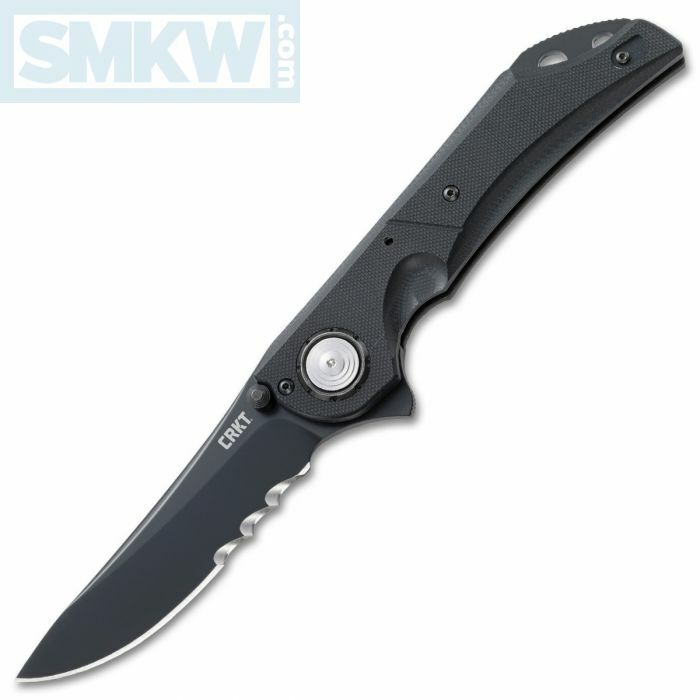 The CRKT Seismic is a fantastic knife with a ton of features and an incredibly secure lockup. To get this knife, click any link in the article or simply click the button below.